Coffee Pot Stamping Cafe: Happy 25th Anniversary! 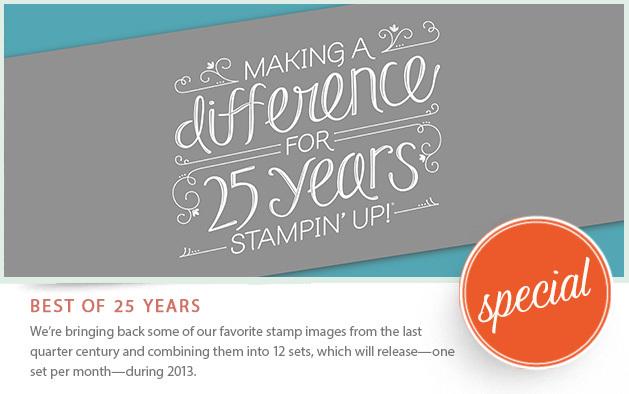 Each stamp set is made up of all time favorites along with a new never-before-seen stamp. A new stamp set for each month of the year. 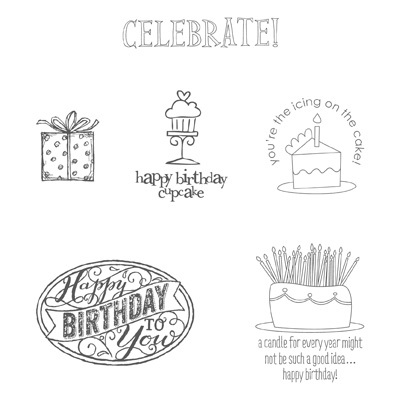 Kicking off the year is the Best of Birthdays Clear Mount Stamp Set (132929, $14.95). As always, if you have any questions, please don't hesitate to contact me.